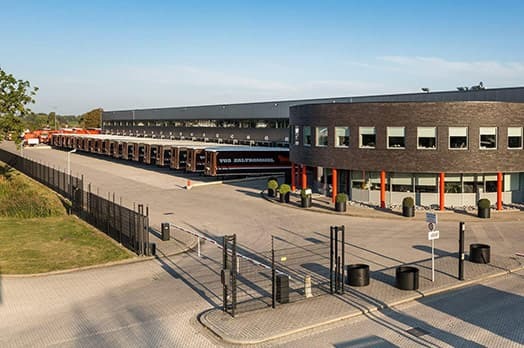 We have more than 40 well-equipped trucks for distributing your products in the Netherlands, but we also transport part and full loads to and from most West European countries. 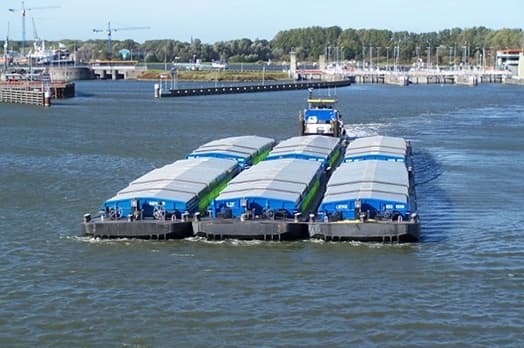 With our four push tugs and dumb barges of various types and sizes, we can transport virtually everything by inland waterway. For goods ranging from steel pipes to animal feed and dry cargo. 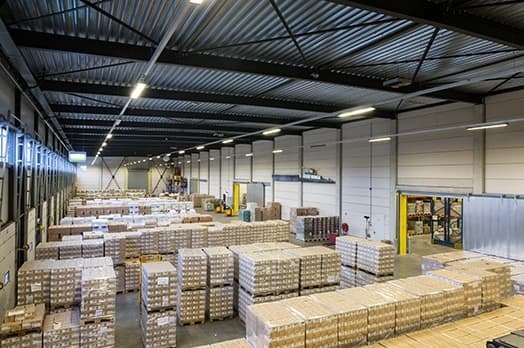 We have more than 27,500 m² warehouse space for food and non-food products. Vos is the right company to call for storage, crossdocking, container handling and value added logistics. With the automated folding machines, we have been a leading specialist in box assembly for years. 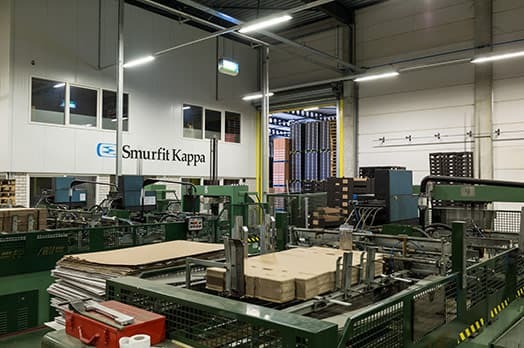 Production, storage and further distribution of corrugated cardboard boxes for the fresh produce and bakery sectors. Example: How much does it cost to transport a pallet from Amsterdam to Eindhoven? With our core values Customer-friendliness, flexibility, reliability and solution-we know our regular customers happy again every day. We are like an extension of your organization and help you come forward and to organize your logistics as practical and efficient as possible. 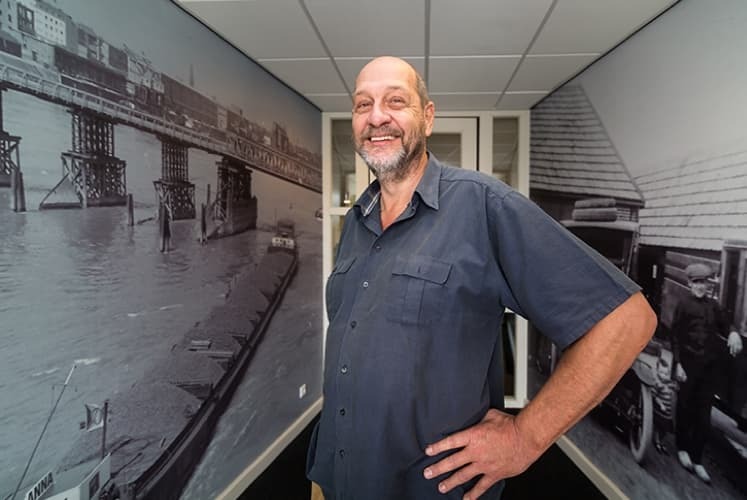 From our modern headquarters in Zaltbommel, centrally located in our country, right on the north-south connection A2, we are able to meet almost any transportation request.